The Men’s and Women’s Swimming and Diving teams came out strong in their first meet since the start of winter break, each team solidly beating Middlebury last Sunday, Jan. 13, in the Panther’s home pool. This marks Bates’s fifth victory over a NESCAC opponent this season, each team having only lost to Div. I Dartmouth earlier this season. The Bobcats will be back in action this weekend, swimming two dual meets against Bowdoin on Friday, Jan. 18 at home in Tarbell Pool at 7 p.m. and at Colby in Waterville, Maine on the 19. The Men’s Swim and Dive team won a decisive victory against Middlebury 192-102, taking first in nine of the 14 individual events and both relays. 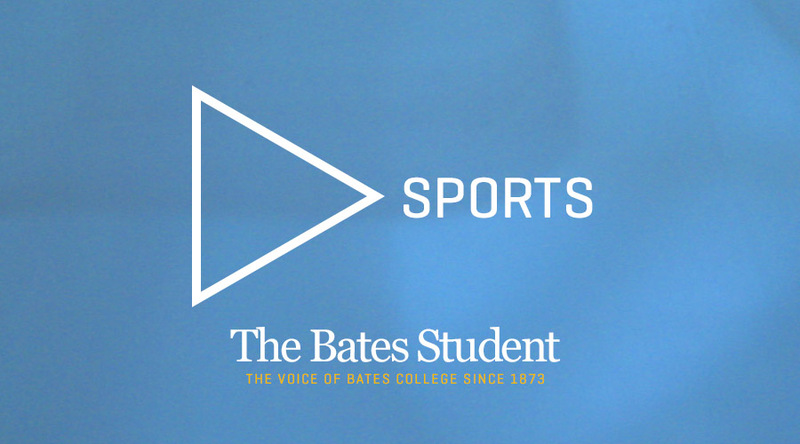 Additionally, Bates dominated the 200-yard freestyle, going 1-2-3 in this event to earn 16 points, almost doubling their point total in one fell swoop at the conclusion of the third event. First-year Andrew Hall ‘22 placed first in the 100-yard butterfly (53.76) and 400-yard individual medley (IM) (4:15.30) and second in the 100-yard breaststroke (1:00.69), earning the most individual points by any one swimmer for Bates at 22. However, this meet was won by many spectacular performances by various athletes. Alex Bedard ‘19 earned two first place finishes in the 200-yard freestyle (1:47.51) and 200-yard breaststroke (2:11.30). Jack Johnson ‘22 similarly found success in this meet, placing first in the 200-yard butterfly (2:00.94) and second in the 200-yard breaststroke (2:13.29) and 400-yard IM (4:16.62). Rory Collins ‘19 sprinted to a first place finish in the 50-yard freestyle in a mark of 22.16 and received a second place finish in the 100-yard freestyle (48.77). Pieter Cory ‘22 similarly won first in the 100-yard breaststroke and earned a second place finish in the 500-yard freestyle. Rounding out these numerous individual performances were Tanner Fuller ‘20 with his win in the 100-yard freestyle (48.39), Daniel Waterland ‘22 in the 100-yard backstroke (53.33) and second place finishes by Alexander Ignator ‘20 in the 1650-yard freestyle (16:56.31), Kyle Jorgensen ‘22 in the 200-yard freestyle (1:47.60) and Matt Puckace ‘19 in the 100-yard butterfly (54.37). The two wins in each of the relays were similarly critical to the team’s success. In the 200-yard medley relay, composed of Waterland, Bedard, Hall and Fuller, Bates won with a final time of 1:36.89; the 200-yard freestyle relay of Cory, Collins, Waterland, and Fuller beat three competing Middlebury teams in 1:27.56, ending the meet with a final victory. This year, the men’s swim and dive team welcomed two divers into their midst. In both the 1-meter and 3-meter diving events, Ossie Heard and Sam Poulos picked up points, placing second (208.35/210.53) and third (152.40/151.28) in each, respectively. The Women’s Swim and Dive team similarly overcame the Middlebury Panthers, but by a smaller margin of 163.5-130.5. Many of these points were hard fought, and the second, third, fourth, and fifth place finishes were much more critical to the success of the women’s team. Leading the team in individual scoring was Erin Bucki ‘21 who won both the 200-yard freestyle (1:58.62) in an outside lane and the 200-yard backstroke (2:10.22) and Emmy Daigle ‘20 who won the 100-yard breaststroke (1:07.71) and the 200-yard breastroke (2:29.72). Each of these swimmers earned 18 individual points for Bates. Also playing a key role in Bates’ victory was Hannah Johnson ‘20, winning the 100-yard backstroke (1:00.30) and placing second in the 200-yard backstroke (2:10.29), first-year Saskia Wong-Smith earning a first place finish in the 200-yard butterfly (2:15.19) and a second place mark in the 100-yard butterfly (1:00.34), and first-year Caroline Sweeney who similarly took first in the 100-yard freestyle (54.70) and second in the 200-yard freestyle (1:58.80), outpacing a Middlebury swimmer in the last few seconds of the race. Caroline Apathy ‘21 placed first in the 100-yard butterfly with a time of 59.04. Maya Reynoso Williams ‘22 earned second in the 1550-yard freestyle (18:25.74) and in the 500-yard freestyle (5:19.62). Amy Duren ‘20 placed second in the 200-yard butterfly (2:15.29). While Bates may have lost the first relay of the meet, the 200-yard medley, to Middlebury by less than 0.30 seconds, they finished the meet off with an exciting performance in the 200-yard freestyle relay composed of Suzy Ryckman ‘19, Janika Ho ‘21, Sweeney, and Apathy. These swimmers won the relay with a time of 1:39.52, a brisk 0.14 seconds in front of Middlebury. Unfortunately, the women’s swim and dive team does not currently include any diving members, so the two diving events were forfeited to Middlebury, giving them 32 points without contest.